24 min to Leavenworth. 26 min to Stevens Pass. Sleeps 6. Super cute and just what your looking for in a cozy little 'cabin'. If your wanting to unplug and relax, this is a great place to do just that. It is a superb spot to start your adventures. 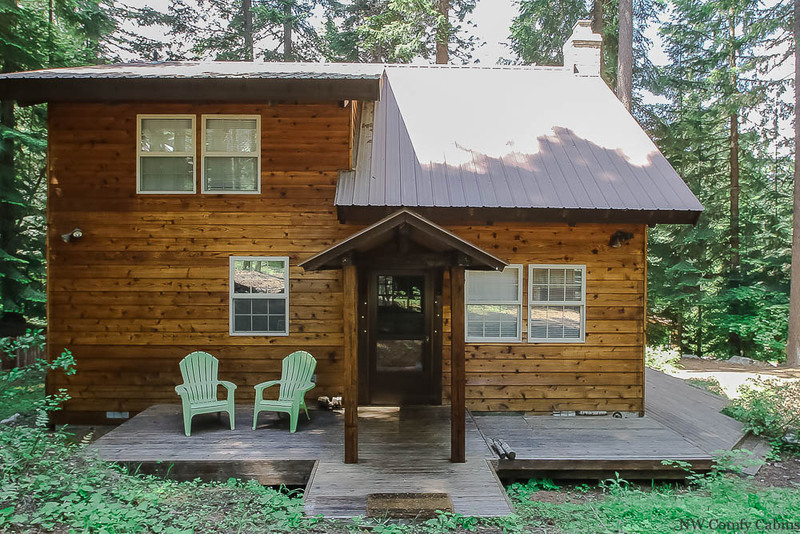 This little cabin resides in a quaint location, allowing easy access to a multitude of adventures and a beautiful riverside drive to downtown Leavenworth or the scenic highway 2 to Steven's Pass. Chipmunk Lodge offers one bedroom on the main floor with double bed and a full bath. The loft provides a queen bed with a 'water closet' including a sink and toilet. There is a futon in the living room if you have a 'litlle' that you brought along to share your getaway. 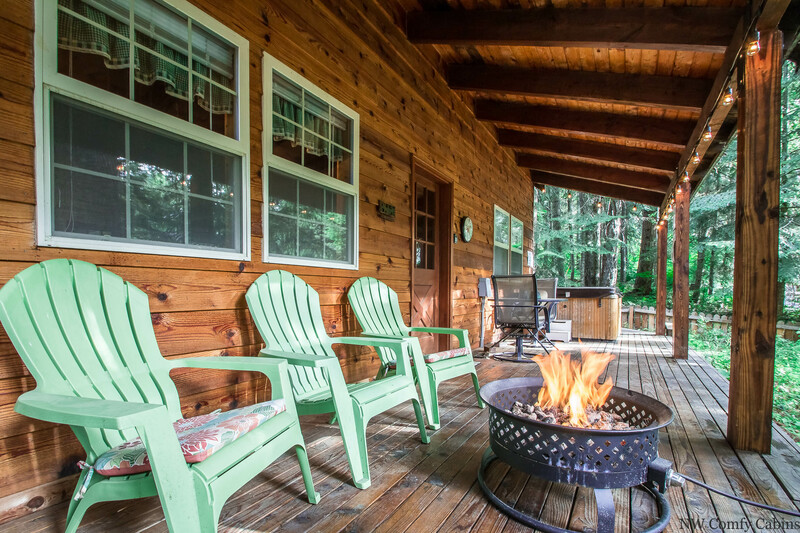 The cabin is nestled in a mountain community with private roads, so a morning walk will likely begin your day, but only after a cup of coffee on your covered porch surrounded by the invigorating smell of the pine trees and a morning fire in the propane firepit. 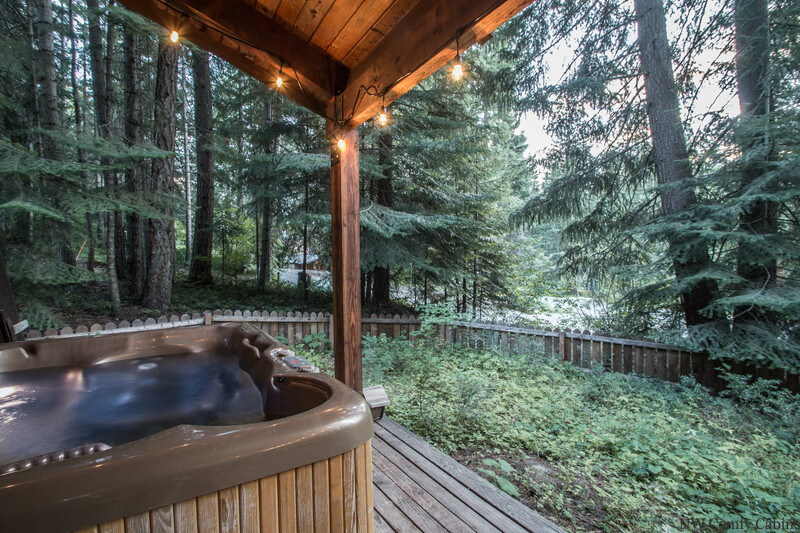 At the end your day, relax and soak in your own private hot tub. It won't matter if you have spent the day shopping, walking, hiking, biking, river rafting, exploring or just reading a book, the warm water melts away the tension you forgot to leave behind. 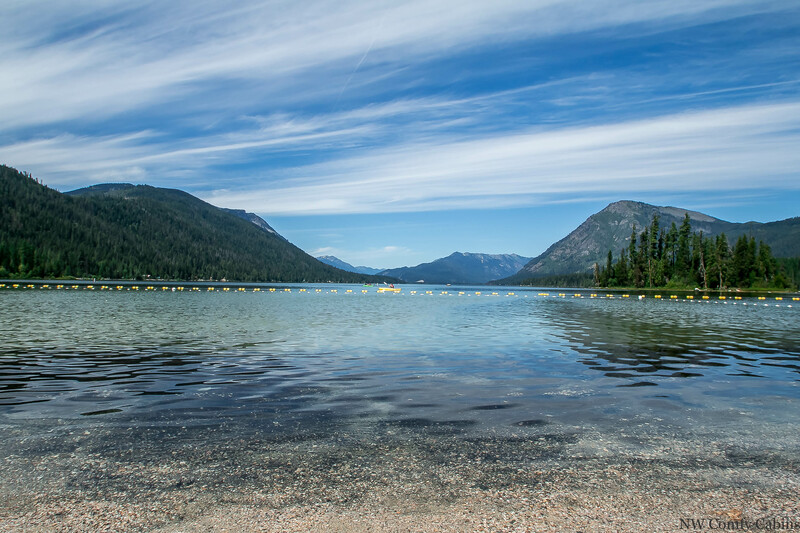 Enjoy the beautiful Lake Wenatchee State Park just a few short miles away, along with Kahler Glenn Golf Course and the "Cove at Fish Lake." Year round the Chipmunk Lodge boasts of opportunity to truly relax, renew and explore the myriad of local recreational and monthly festivities the Leavenworth area has to offer, so what are you waiting for? Book your stay today and start your adventure. Additional fees include a Housekeeping Fee, a 5% Resort which covers credit card processing and protects property for up to $1,000 for accidental/unintentional incidental damages. Willful and negligent damages are not covered under the Resort Fee and will be the sole responsibility of the contracted guest(s). State and Local Lodging Taxes are also applicable. 4WD, AWD or chains required for winter accessPLEASE NOTE: this is a privately owned vacation home and we recognize that the home may sleep more than people. The owners (based on fire marshal regulations, Chelan County rental regulations and out of respect to the communities we live and work in) allow a maximum of 6 guests under the rental contract. There are never to be more than 6 guests staying at the property during any rental contracted period of time. If more than the contracted number of guests are found on the property the contract will be null and void and guests will be required to vacate with no refund. Please understand and note that we are legally bound to adhere to our contracts with out owners and regulations. We respect and appreciate the efforts that allow us to offer vacation rentals for all to enjoy. PLEASE NOTE: We cannot permit single night stays under any circumstance. We have a 2 night minimum stay for regular dates and a 3 night minimum stay over federal holidays. This home will require 4WD, AWD, or chains during winter months. This property was immaculately clean, and great for a weekend get away. 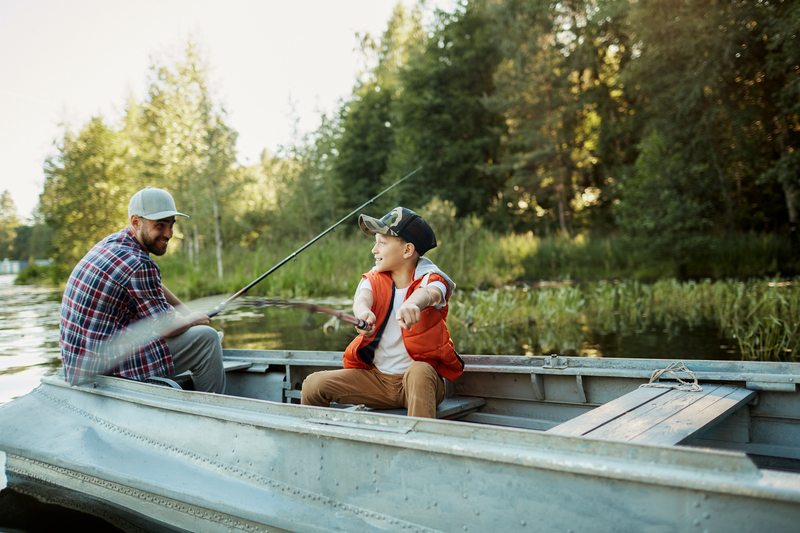 If you're looking for a secluded cabin get away it might not completely fit your bill as it is in more of a neighborhood than anything. Our only complain was that there were several outlets that were not functioning. Including the one in the main bathroom. but that could be worked around. Manager response on 2019-03-13 - Response from NW Comfy Cabins Inc. Thank you for your comments. The mountain community aspect is really a great way to get away and partake in the cabin experience but to have some comfort knowing you are not too remote. The other side of that, for some people, is a desire for total seclusion. I hope that you were able to enjoy the essence of the cabin feel and spending time away from normal day to day life, which is a big part of the weekend getaway adventure that we hope to share with our guests. We definitely have many more remote locations as well to offer our guests and I hope that you will come back and give some of them a try. You will always be able to take advantage of our return guest discount at any time. Thank you again and we appreciate you and your input. I have contacted an electrician to see if we can determine any issues or if there was just a breaker tripped. I am so sorry for any inconvenience but we will get to the bottom of that for sure. The cabin was in the perfect location, clean and well maintained. We did not want to leave and we will definitely be back next year. We had a great was money well spent. My only complaint is the heavty cleaning fee of $90.00. We left the cabin as we recieved it minus the bed sheets and towels. We cleaned before we left. I would like a portion of that cleaning fee back or have it reduced in the future. Manager response on 2018-12-21 - Response from NW Comfy Cabins Inc. Thank you for your thoughts and comments. The clean fee does cover many costs necessary to do what we do, beside the actual cleaning. Our cabins are spread out over a wide area making the cost of the process much more than simply the time it takes to do the clean itself. Our girls must travel from cabin to cabin, as do our field team, providing several tasks to prepare for each guest visit. 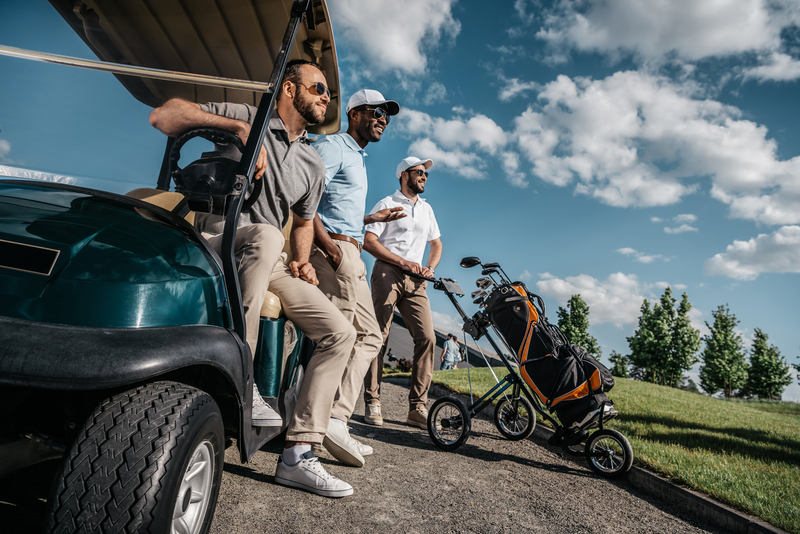 There are no less than 3 people that individually must arrive to each property after every departure (cleaners, garbage and yard, propane tank check and hot tub services). It is our goal to assure that each guest arrives to a well cared for property, that offers a meaningful opportunity to enjoy time away from home in a comfortable, clean environment. It can be difficult to make sure all fees are clearly explained and this is certainly one that is complicated and encompasses much more than it implies. I hope that this information is helpful. 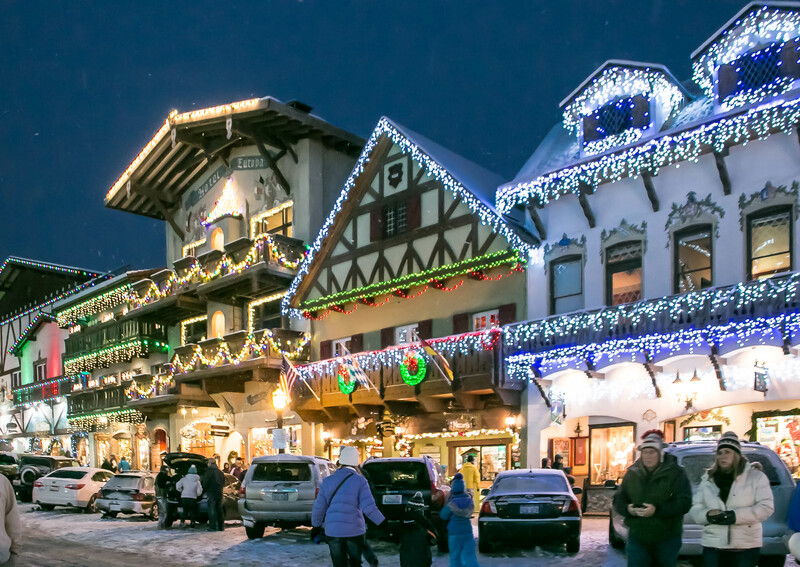 Please know you will always be privy to a 10% return guest discount once you have stayed with us, as our way of thanking you for trusting us to be your vacation destination for the Leavenworth Area. Thank you for your thoughts and comments. The clean fee does cover many issues necessary to do what we do, beside the actual cleaning, and the cabins are spaced out over a wide area making the cost of the process more than just the time it takes to do the clean itself. One of the biggest goals we have for our guests is that they arrive to a well cared for property, that offers a meaningful opportunity to enjoy time away from home in a cozy, clean and neat environment, so there are several aspects that the 'clean fees' cover which also includes consumable items used during your stay. It can be difficult to make sure all fees are clearly explained and this is certainly one of them..t is complicated to do all that we do and it is our hope that once you stay with us, you feel the true value of what you are experiencing. We work very hard to be sure our guests arrive to a cozy environment and are able to relax and make memories. I hope that we were able to do that for you. 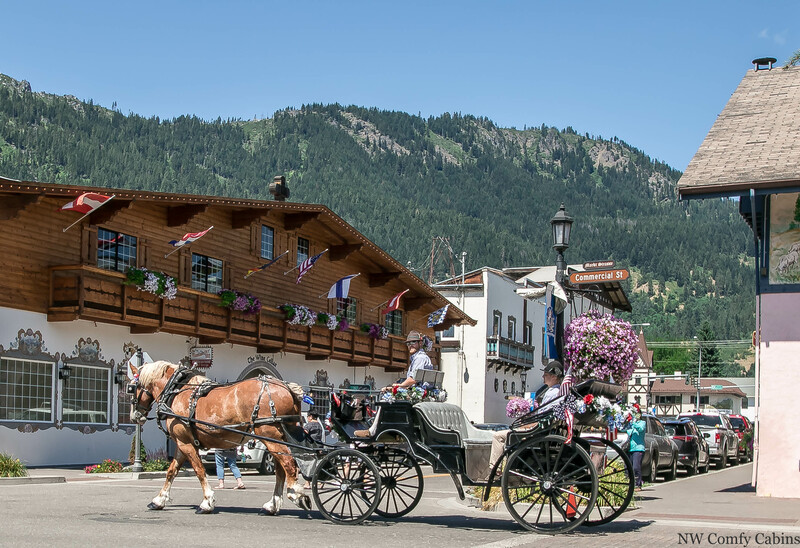 Please know you will always be privy to a 10% return guest discount once you have stayed with us, as our way of thanking you for trusting us to be your vacation destination for the Leavenworth Area. Lovely cabin, very clean, well stocked. Everything is perfect except the beds. I woke up in so much pain! The loft has so much room, put a new king up there. It was great sitting on the porch with the firepit while the dogs played in the fenced yard. I am so sorry to hear that you were not comfortable in the queen size bed. We have added 3 inch foam toppers to the beds to improve the comfort of our guests. Each of our cabins are individually owned and the bed size choices are made by the owners based generally long before they choose to offer their cabin as a rental. For our guests convenience, bed sizes are advertised so that people with specific requests can be informed before arrival what to expect in this regard, we know that can be very important to some people more than others. We always take into account our guests thoughts and comments, not every idea will come to fruition but it helps to hear what is important to our guests. Thank you for your input, it is very useful and allows us the chance to offer improvements where they may be needed. Great place to stay. All of the staff at the management company were very helpful. We drove down to the Squirrel Tree Restaurant at Cole's Corner and it was a great experience. So happy you enjoyed a nice stay at the cabin. Thank you for your comments. We have several nice places in the area to enjoy meals, the Squirrel Tree has had a lot of recent improvements and the 59er diner has been rebuilt after a devastating fire so we are thrilled to have them back up and serving their wonderful menu again!!! Manager response on 2018-12-14 - Response from NW Comfy Cabins Inc.
That is so nice to hear the stories of our guests having a great time. We are thankful when we are able to help make memories. The lights have been fixed and your input was helpful in that. Thank you so very much and come back, book direct with us and always use your Return Guest discount. The cabin was great, disappointed in the location. I thought it would be more secluded. There are neighbors on all sides with very little privacy. the hot tub can be seen from both streets. Both beds are extremely hard, very uncomfortable and kinda small for two people (something i've read in other reviews) putting a good quality queen bed in the loft would go a long ways to make it a better sleep experience. Overall a really nice cabin that is close enough to the local activities to make it an enjoyable experience. (bring a foam pad to put on top of the beds) Would i rent this one again? probably not, due to not feeling like i had the privacy/seclusion i was hoping to have and again terrible beds to sleep on. Manager response on 2018-11-28 - Response from NW Comfy Cabins Inc. Thank you for taking the time to share your thoughts with us. The cabin is located in a very private, quiet mountain community on a tiny cul de sac, no through streets and extremely minimal traffic. The hot tub is on a covered deck set back from the road and trees in front of the home. In the evening you can either illuminate the deck with the edison bulb 'mood lighting' or allow the cover of darkness to enhance your private moments. (no street lights here at all so the skies are dark and stars are clear and visable) The photos do a good job of showing the location of the hot tub and the lid itself provides privacy along the end of the tub when it is in use. We are putting foam bed toppers on the beds today so I believe that will make a difference for those who want a deeper cushion on the beds. Your feedback is very much appreciated and we hope that the new bed toppers will improve the comforts of our guests. Thank you for sharing your really helps us know how we can improve the experience our guests are having so they will trust us and come back again and again. Thank you for taking the time to share your thoughts with us. The cabin is located in a very private, quiet mountain community on a tiny cul de sac, no through streets and extremely minimal traffic. The hot tub is on a covered deck set back from the road and trees in front of the home. In the evening you can either illuminate the deck with the edison bulb 'mood lighting' or allow the cover of darkness to enhance your private moments. (no street lights here at all so the skies are dark and stars are clear and visable) The photos do a good job of showing the location of the hot tub and the lid itself provides privacy along the end of the tub when it is in use. We are putting foam bed toppers on the beds today so I believe that will make a difference for those who want a deeper cushion on the beds. The bed upstairs is a queen bed and a full bed on the main floor. Your feedback is very much appreciated and we hope that the new bed toppers will improve the comforts of our guests. Thank you for sharing your really helps us know how we can improve the experience our guests are having so they will trust us and come back again and again. W stayed over New Years and loved the place. We appreciated being able to bring our dogs with us. The cabin was cozy and clean, had everything we needed, & lots of dvds to choose from. 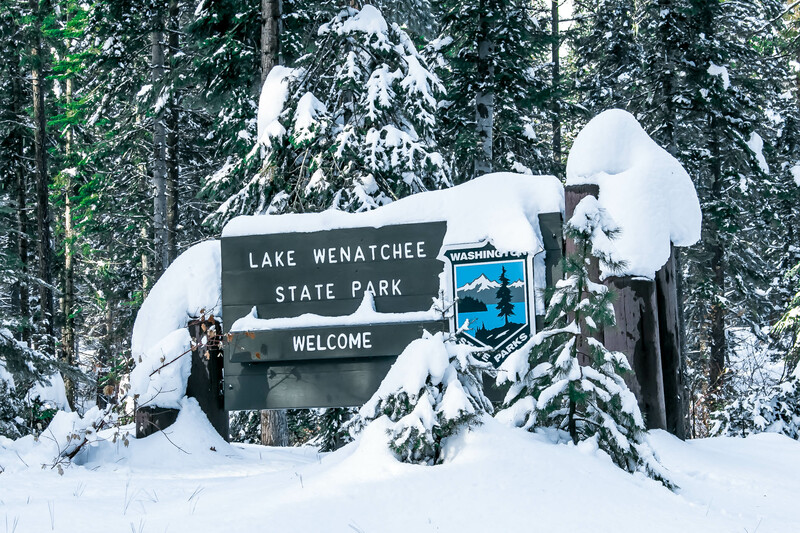 It was close to cross country skiing and snowshoeing at Lake Wenatchee which we enjoyed. The new snow made it especially charming. Manager response on 2018-02-21 - Response from NW Comfy Cabins Inc. 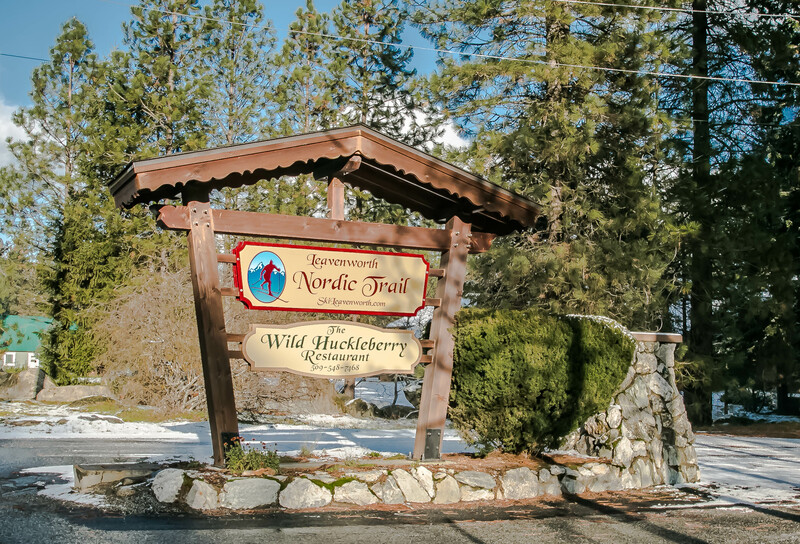 Manager response on 2018-02-22 - Response from NW Comfy Cabins Inc.
Great time hiking the mountain trails, wine tasting Columbia Valley and visiting Leavenworth Bavarian Village. The house was in a great location, worked well for everything we needed and very clean. Recommendation for improvement would be to have a picnic table outside and more comfortable bed mattresses, pillows and higher end bedding. Thank you so much for the feedback. We have added 3 inch foam bed toppers that really have changed the feel and comfort of the beds. I have reached out to the owner about your other suggestions and I hope to have those items addressed very soon. We appreciated your input as it helps us to stay on top of the things that make our guests most comfortable. Please make use of our return guest discount, you can apply it to any of our Comfy Cabins locations, we would love to have you back again. Nothing like a trip away from reality in a cabin located only 25 minutes away from the all-but-dull town of Leavenworth. The place was the perfect size for my girl and I and room for another couple. All the amenities you need for cooking, cleaning and being comfortable. When I had a question about the heating unit, I contacted NW Comfy Cabins and got a rapid response answering my question. From arrival to departure we were pleased with our stay. Manager response on 2018-03-21 - Response from NW Comfy Cabins Inc. Excellent. We would come back here tomorrow, no questions asked. What a great, comfortable cabin to rent. Very relaxing, very quiet, very comfortable for my wife and I. We will rent this again. The front porch is exceptional with the gas fire pit and the hot tub. The cabin was very clean, and had everything we needed to cook the food that we brought. We had no TV, but they have about 250 DVD's if you wanted to watch a movie. They have almost every movie that you can think of. The bed was very comfortable. This is just a very quiet, very private, and very comfortable rental property. Manager response on 2018-04-19 - Response from NW Comfy Cabins Inc. It was a perfect get away! The Chipmunk Lodge was so great! 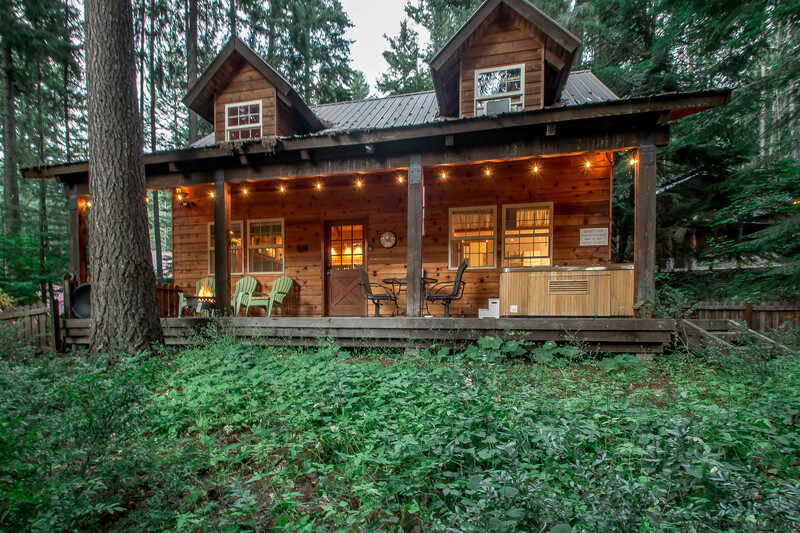 I booked this cabin as a surprise weekend getaway for myself, my boyfriend, and my dog. It’s a beautiful drive between the cabin and Leavenworth. We had so much fun! We shut the door of the bottom bedroom and it locked. That was no problem since it was just the two of us and we were sleeping upstairs in the beautiful loft. We just felt bad because we wanted to vacuum since we had a dog there but the vacuum was in that room! Based on the information left inside the cabin and other reviews, I assume if we needed the door unlocked it would have been taken care of promptly. I would absolutely stay here again! It was a stretch on my budget but worth every penny! Thank you Denise for helping to make our stay very special. One recommendation, probably for the cabin owner, the cabin had two double beds. I’m 6’1” and 250lbs, not a small person. With Holly and I together we could not fit and sleep comfortably on such a small bed. There is so much room, especially upstairs for a bigger bed and if you want to attract more couples who want to share a bed putting in at least a queen sized bed upstairs would make a big difference. Thanks again, your team was professional, helpful, thoughtful and went the extra mile to make our stay very special. It was our first time doing a vacation rental. It was an easy process and the house was well stocked for cooking, playing, relaxing, and our family had a great time! Great to hear that you were able to come to our area, enjoy the cabin and make memories that are positive and enjoyable for your family. We would love to have you back. 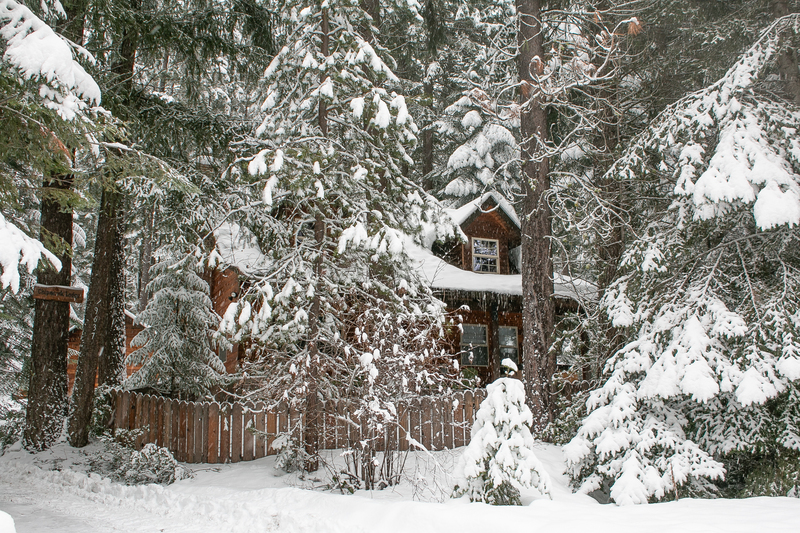 We had an amazing stay in this cute cabin in the snowy woods. 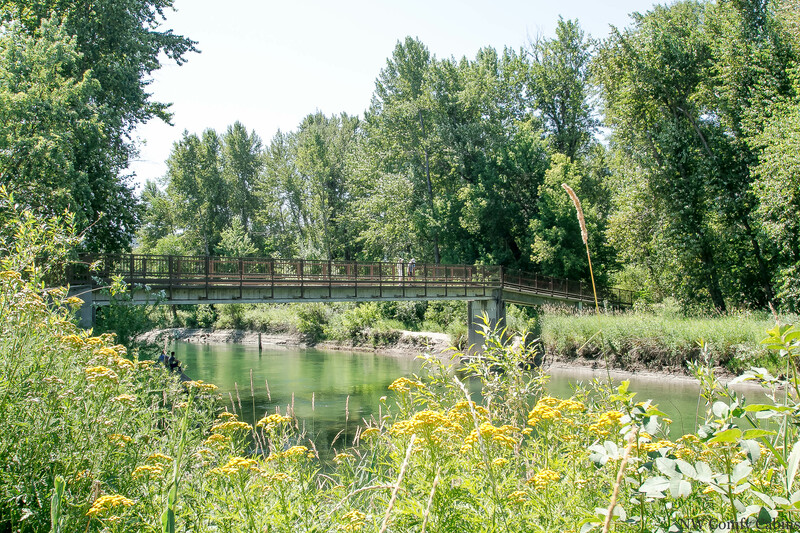 Nice location close to Leavenworth and Stevens. Only regret is we didn't stay longer. Manager response on 2017-01-20 - Response from NW Comfy Cabins Inc. So happy to hear that and we hope that you will 'stay longer' and enjoy all that you left undone at your nest visit using your return guest discount. We would love to have you stay with us again and hope to hear from you soon. Perfect spot just outside of town for a nice relaxing trip. The cabin was great, only downside was the beds seemed to be a bit smaller than queen sized. Manager response on 2016-12-13 - Response from NW Comfy Cabins Inc. Loved this cabin! It is cute, comfy and clean! Will definitely return! The only problem was the stove. Only one burner worked. Made cooking my menu plans a bit difficult. Manager response on 2017-02-16 - Response from NW Comfy Cabins Inc.
Edith, we are very sorry to hear that you had trouble with the stove. We are always available to come out and look into issues that might come up. The burner is not showing any trouble and is working so it may have been something we could have fixed right away. We cannot replicate the trouble now and we apologize that you had this problem. Please do not ever hesitate to reach out when you are here so we can assist you and hopefully get you experiencing the best we have to offer. Very relaxing! Beautiful cabin and quiet surroundings. We very much enjoyed our stay! Manager response on 2017-02-07 - Response from NW Comfy Cabins Inc.
Really enjoyed our stay at Chipmunk Lodge. Quiet location, easy to find, and quick drive to Stevens Pass for skiing and Leavenworth for dinner/shopping. Cabin was super clean and provided everything we needed. Appreciated the large variety of DVDs to pick from, and extra points for being dog friendly! Manager response on 2017-03-16 - Response from NW Comfy Cabins Inc.
We stayed for 5 nights with our family of 2 adults, 2 children and our dog. Everyone loved the cabin. Very clean and very comfortable layout. It felt much bigger than the square footage. In a lovely little neighborhood with homes nearby, but yet felt very private and 'in the woods.' We would definitely return for another visit to this cabin. Manager response on 2017-08-21 - Response from NW Comfy Cabins Inc. Thank you for sharing your experience. It is really nice to be in a community that is peaceful and private, but offers a comforting sense of security. It is nice to have private roads to walk and enjoy being out of doors and feeling away from it all at the same time. It can be intimidating to be too remote and the mountain community is a very nice way to remove yourself from the hustle and bustle yet still experience nature/solitude as well as relax and shut down a bit. We are very happy that the Chipmunk Lodge was a nice getaway for your family and we hope that you will find your way back to us again one day. We had a wonderful time at Chipmunk Lodge. It was rather nice that we didn't have cell service or Wi-Fi, we were truly able to unplug. The BBQ we requested was there and ready to go. It was wonderful. There were only a few things that I would have addressed which by no means idea deal breaker there were cobwebs on the lights and Windows and the light switches had no labels. We figured out the lights and ignored the cobwebs. It was perfect for my family of 3. It wasn't a secluded as we had hoped for but was still very relaxing. Manager response on 2017-05-12 - Response from NW Comfy Cabins Inc. Peaceful stay at the Chipmunk Lodge! My husband and I had a fabulous getaway! We recently started our own business and needed a quiet, romantic getaway. This was absolutely perfect! Everything in the cabin was well kept, and nice. 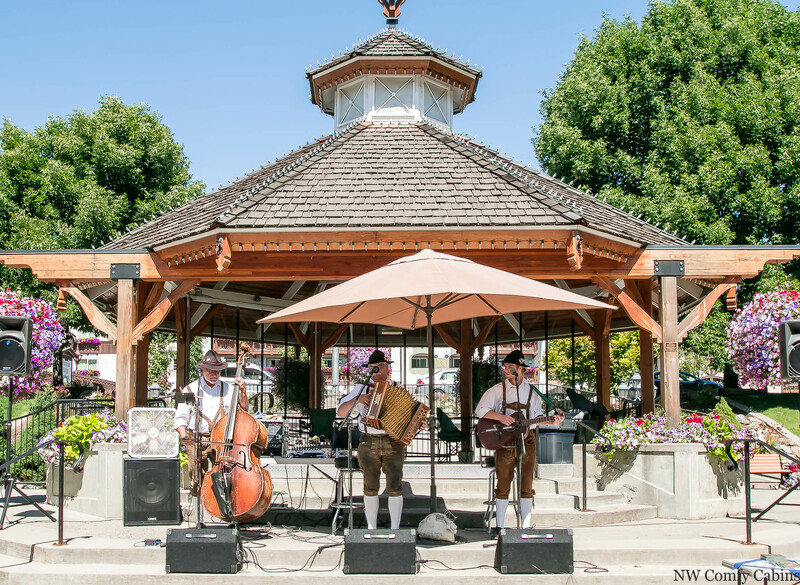 The location was close enough to Leavenworth, and we soaked in the hot tub every night! We will come again. We cannot wait! Thank you NW comfy cabins! We enjoyed the home, it was perfect for two couples and a pup. So many mosquitos it was hard to be outside for long. We all left with 20+ bites and used plenty of bug spray, so beware. Didn't stop us from having a great time and enjoying the home though. Didn't use the hot tub as it was set up more for two with the way the seats were in it. The outside patio and chairs were the only thing dirty about the cabin. That needed to be pressure washed pretty bad so we didn't sit out there much. I would recommend this place, location was wonderful and the cabin stays nice and cool in the summer heat. Beautiful neighborhood to go for walks in as well. Kitchen was well stocked and the little bbq worked great. Manager response on 2017-07-17 - Response from NW Comfy Cabins Inc. I wish we could control the mosquitos, darn things. I think the best repellent are the 'incense sticks'. I remember using them as a kid and they are the best still today. Glad to hear the home worked perfect for your group. Manager response on 2017-08-05 - Response from NW Comfy Cabins Inc. I am so pleased that the little buggers were not a problem for you. It is really not an issue all the time, but it is fantastic that you were prepared for the possibility. The beauty of the mountains and all that there is to experience while here in the Lake Wenatchee/Leavenworth area, really is worth the occasional reality of the mosquitos that also live here. Good news is that our mountain location is also home to many other amazing creatures and so many sights, sounds, smells and activities that we just cannot complain too much. 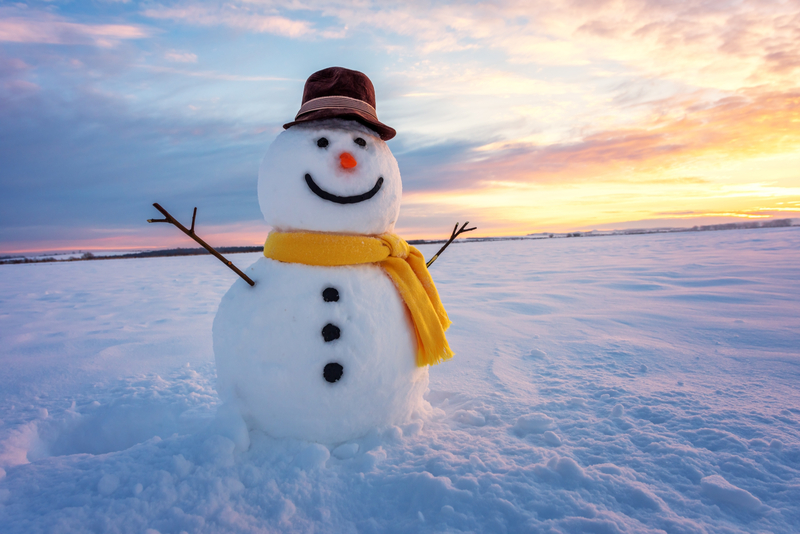 Be sure and consider a winter getaway, you won't see any mosquitos then and there are so many wonderful things to see and do. The cabin was warm & cozy for our family of 4. It even snowed about 10 inches the day after we arrived, which made our Christmas getaway from Seattle magical! Manager response on 2018-01-22 - Response from NW Comfy Cabins Inc. There is nothing better than a silent snowfall in the mountains. We are so pleased that you had that experience. It really does have a magical feel to it and sitting on a covered porch, lounging in the hot tub or beside a firepit, beverage in hand and hopefully, someone you love beside you, really cannot get any better than that. Thank you for sharing. We loved everything about the cabin. Kitchen is cute & is huge & has everything you need. Loved all the DVD's & games. Perfect setting. Hot tub was nice, but small...only fits 2 people. Futon couch in living room needs replacing & doesn't fold out. Beds in rooms are hard & small. Overall we'd return as it was nice to bring our two beagles and very nice that the front yard was fenced. 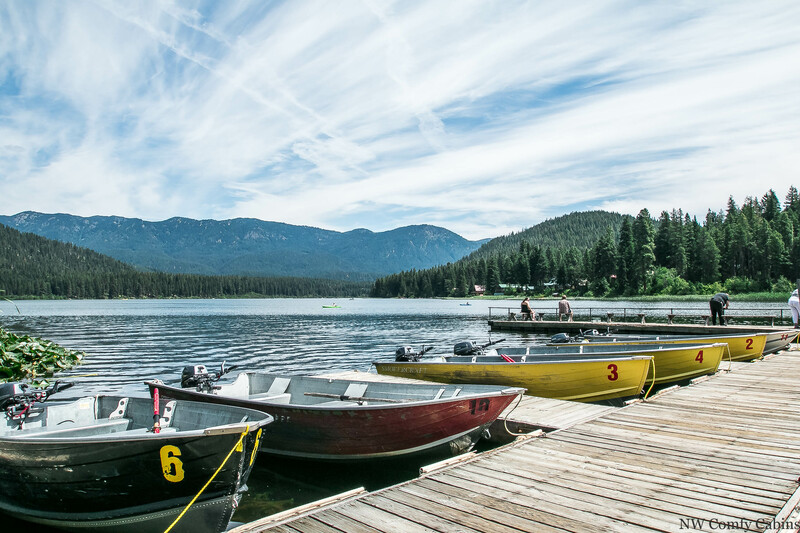 Only a 20 minute drive to Leavenworth & less than 10 minutes to Lake Wenatchee. Perfect location. Our family loved staying there. The only thing that we didn't appreciate is that when we booked our family (two 17 year olds), it showed one price, & then we were sent an email that we were going to be charged for two more people. Then our credit card was charged & thank goodness it was an expired card because it was be wrong for it to be charged & unethical to place a charge on it without our approval. Manager response on 2017-12-20 - Response from NW Comfy Cabins Inc.
Our recent trip to the Chipmunk Cabin could not have been more perfect. The cabin was everything that we hoped for, clean with plenty of linens. The peace and quiet was just what we were looking for yet only 20 minutes away from Leavenworth. The only suggestion would be to increase the kitchen cookware so we can bring the family for a longer stay than just a weekend. Manager response on 2017-11-14 - Response from NW Comfy Cabins Inc.
Maria, we are elated to hear that your time at the cabin met your expectations and allowed you to enjoy yourselves and relax in comfort. That is a great thing to hear as we want the same for all of our guests each and every time. We hope you will come back again and thank you for you comments. I have to say, as a dog owner, one of the best aspects of Chipmunk Lodge is the fenced yard! It was so nice to sit in the hot tub while the dogs played outside. The cabin was just what we expected and came with a VERY stocked kitchen. We hardly used any of the cooking tools we brought. If at some point the mattresses and sofa get an update, we'd never want to leave! Looking forward to another visit. Manager response on 2017-11-30 - Response from NW Comfy Cabins Inc. Thank you Amanda, for being our guest and for allowing us to hear your comments on your stay at the Chipmunk Lodge. We are pleased you and your pet had a nice experience. We have updated the mattresses with 3 inch memory foam toppers and I believe it has been quite helpful. I hope that you will return again and enjoy time at the Chipmunk Lodge. We loved our stay at the Chipmunk Lodge. It was clean, comfortable, and full of little suprises like movies, games, cards and even a crockpot for the Taco Soup we brought. What a wonderful, well equipped cabin. Really felt at home! Loved every minuyebandbwillbdefinitely be back again. We had such a great time and loved this cabin. Cannot wait to come back and the kids already are calling 'our cabin'. Beautifully decorated, comfortable and cozy, great place to call home while exploring and enjoying the area. Manager response on 2015-05-04 - Response from NW Comfy Cabins Inc.
Great customer service, nice cabin - clean with great gas fireplace, very close to Lake Wenatchee, about 20 minutes from Leavenworth. Manager response on 2015-06-19 - Response from NW Comfy Cabins Inc. Absolutely wonderful stay!! This cabin had everything I wanted and then some - the only thing, I wish it were within easy walking distance to a river or lake. It's probably not too far for most, but I was thinking it was closer. Funny story on my part - one of my main criteria I had was that there was a hot tub... however the weather was too warm so we never did end up using it. I'm very pleased there is one available however! My boyfriend and I were commenting that we will FOR SURE be back during the winter months because this place in the snow would be absolutely amazing. And the hot tub would for sure some in handy then! The only "issues" - and these weren't even issues for us at all - I just wanted to more or less make sure you were aware. The oven didn't seem to work. Could have been user error, I don't know (??) We didn't mention it while we were there since we had no need for it, but definitely wanted to make sure the owners were aware. Manager response on 2015-07-18 - Response from NW Comfy Cabins Inc. Manager response on 2015-07-24 - Response from NW Comfy Cabins Inc. The cabin is beautiful inside and out and is situated on a well-shaded lot. The neighbors were quiet, even on a holiday weekend. During my stay, the area was suffering a heat wave with temperatures hitting 100 degrees each day. Window fans were provided which cooled the cabin down quickly at night and it stayed cool most of the day due to the large trees. The kitchen is well equipped, but little to no condiments were provided. It's a shame to purchase a bunch of stuff to only throw away at the end of the stay (they do not want any leftover food stuffs). The only big disappointment is the lack of Wi-Fi in the cabin. Would have been nice to stay in touch with friends/family to send photos. Did not miss tv at all though! The cabin is very comfortable and I thoroughly enjoyed my stay. Would love to return....and I just might! Bed in loft was only a double I believe, not very comfortable, and only had a top sheet with comforter. No blanket or layering between the two. Appliances and some kitchen utensils very old. Clean, cozy, and nice setting. Some windows were unlocked and we didn't notice this until we had spent the night and locked the doors. We didn't realize that highway 2 would be closed most of the day we were there which made getting into Leavenworth for site seeing and groceries painfully long as there were no signs letting us know before this and during. A hired officer and construction worker stopped each car which was nice but VERY time consuming during the closed highway. This cabin was the perfect setting for our annual Girl's Weekend. The kitchen was well stocked with everything we needed to cook our weekend meals. We thought about going into Leavenworth on Saturday, but ended up happiest staying at the cabin enjoying the fresh air and company. Manager response on 2015-09-30 - Response from NW Comfy Cabins Inc.
We stayed here for the christmas lighting festival, Overall the cabin was great, looks great on the inside and outside, huge dvd collection for the dvd player was much appreciated, small little amenities throughout the house that you wouldn't think of helped out too, ex: blow dryer, box fan,cork screw, cooking untensils etc,great place for a couples retreat for sure! However on our second night the power went due to inclement weather after a couple hours the cabin got very cold, a real wood fireplace would have helped greatly,there were no candles, just one small emergency flashlight, we ended up leaving in the middle of the night and drove 2 hours back home, a place like this in the winter months should be wired with a generator especially when expecting paying guests, over all we had a great time but a little dissapointed with the power outage and having no back up generator followed by the inside temp dropping substantially and having to leave in the middle of the night. Manager response on 2016-01-06 - Response from NW Comfy Cabins Inc.
Never stayed somewhere so clean. The hot tub seemed like it was just cleaned. The house was gorgeous. Only complaint is the beds were so uncomfortable it was hard to sleep on. Loved the place and will be back. Manager response on 2015-11-23 - Response from NW Comfy Cabins Inc. The cabin is really cute, and cozy. Very clean, very well stocked with kitchen supplies, linens dvd's and games. Located mid way between Steven's Pass ski area, and downtown Leavenworth. We went skiing one day, and sledding in Leavenworth another day. We went in the hot tub every night, and watched movies. Manager response on 2016-02-11 - Response from NW Comfy Cabins Inc.
We absolutely loved this place! We arrived at night and after driving past the driveway twice due to recent snow, we finally found it, rumbled up the drive and were so so so thrilled to find the cabin cozy, exactly as pictured and with all the comforts of home MINUS the very annoying wifi. Both of us work hard and were able to completely unplug and just focus on each other and having a great time! Loved the hot tub, watched a couple movies, cooked some meals together, enjoyed the scenery and went in to Leavenworth a couple of times. We've already decided to come back again next year! My boyfriend was so excited about this place but commented on the "loud" heating system. I didn't notice it. What I noticed was that there were tons of towels and toilet paper (I'd brought extras, just in case). It literally was turn key. All you need to bring are some cozy clothes, some groceries and a few bottles of wine and you will be SET for the coziest, most relaxing and romantic visit of your life! 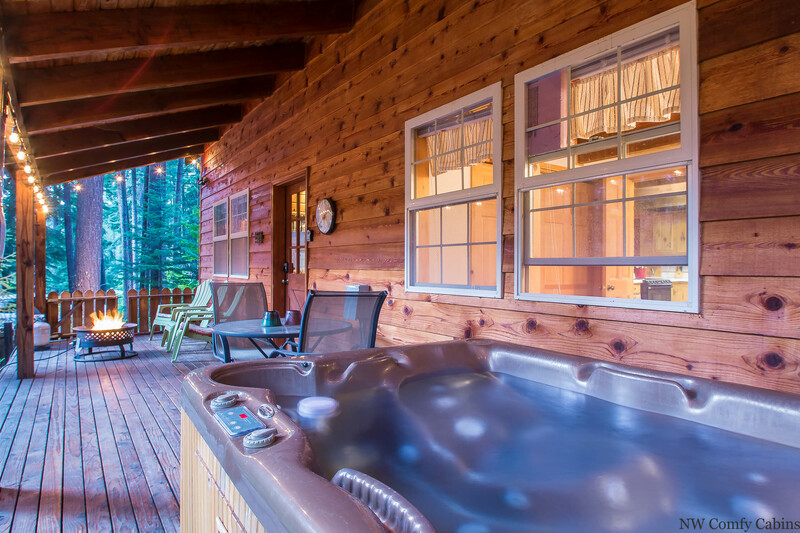 Manager response on 2015-12-10 - Response from NW Comfy Cabins Inc.
We were looking for something affordable that had a hot tub and out in the woods close to Leavenworth. This was a great fit for what we wanted! Manager response on 2015-11-30 - Response from NW Comfy Cabins Inc.
We loved the cabin and it's remote location. We appreciated the little fenced in front area so our dogs could be outside without a leash while we watched them. The inside of the cabin was gorgeous, extremely clean, and very well equipped. The only negatives were: millions of mosquitoes prevented us from enjoying the porch; there were no steps into the spa so my handicapped husband could not safely get into or out of the spa; and the check out procedures were sent via email the morning of our departure (we'd already left). Overall we loved our couple of days in the Chipmunk Lodge. Manager response on 2016-05-30 - Response from NW Comfy Cabins Inc. The cabin was great! It was myself and two kids, ages 10 and 12. Cabin was very clean and well stocked with dishes, towels, linens, etc. The downstairs bedroom had a ton of board games in the closet, and there were lots of DVD's and books. 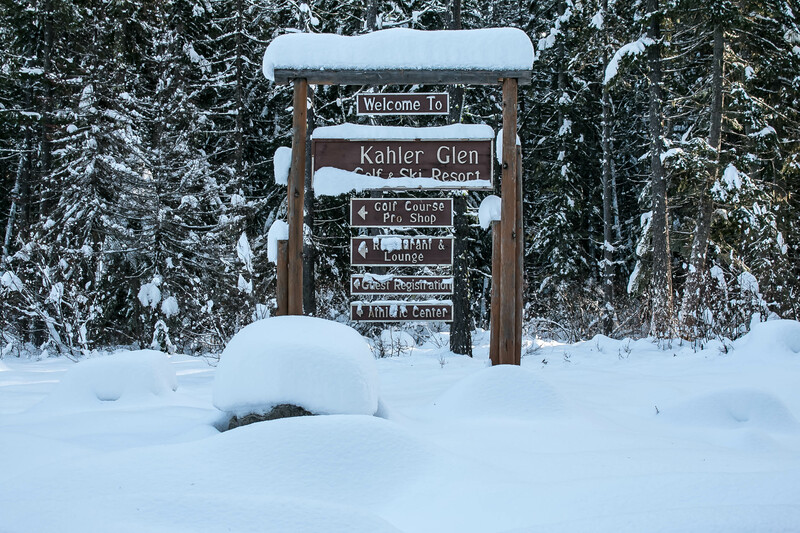 Located about 20 minutes outside Leavenworth and just a couple minutes from Lake Wenatchee State Park. There was a rocking chair next to the fireplace and my son sat in it the entire time, with the fireplace on (even though it was hot out!). Cabin stayed relatively cool and cooled down even more at night with the windows open and ceiling fan going. Very quiet neighborhood. The only downside was the swarms of mosquitoes! We took some all natural spray that a friend of mine uses and it didn't help at all. Ended up buying a bottle of 40% DEET spray and that seemed to do the trick. All in all, a great stay. My kids are already asking about going again next year! Manager response on 2016-07-14 - Response from NW Comfy Cabins Inc. It was a very nice, quaint cabin. Perfect size for the 5 of us. Clean and cozy. We loved the hot tub and the fire pit outside. We were also impressed by the extensive movie selection. Manager response on 2016-03-30 - Response from NW Comfy Cabins Inc.
Our family really enjoyed our stay at Chipmunk Lodge. The property was clean and comfortable. We would definitely consider this property to stay at on future trips and recommend it to others. This was our 2nd cabin this summer, we really enjoyed and love this cabin! the hot tub is great, propane fire pit is perfect to warm up by in the mornings while sipping coffee! super peaceful, quiet community, great long walks each evening. Cabin is perfect! I care for an x-mother in law w/a lot if issues. As soon as we got in the car I felt calm. The cabin was perfect because my home has wooded theme w/ bears. So I felt wonderful;we really really really didn't want to leave. Awesome; all a person needs to bring is their food.cant wait till we can come back?? Manager response on 2016-09-01 - Response from NW Comfy Cabins Inc.
We very much enjoyed our stay at Chipmunk Lodge. We spent our days out and about, and did not use all the amenities available at the cabin. The kitchen was well stocked, however, a pair of kitchen scissors would have been nice! There were lots of light switches that did not seem to have any function, and a couple of dead light bulbs, but nothing that detracted from our overall enjoyment. I would highly recommend this property for a couple or small family. We really enjoyed the chipmunk lodge! It had all the needed amenities, hot tub was clean, large selection of DVDs to enjoy "down time" and is close to Lake Wenatchee. Manager response on 2016-08-24 - Response from NW Comfy Cabins Inc.
Great place, location and experience! Great cabin! Super close to Lake Wenatchee and a short drive to Leavenworth. The cabin was clean and has pretty much everything you need. Mosquitoes were crazy outside even with the candles and repellent so we didn't spend too much time in the hot tub, but if you don't mind a few bites then soak a bit! Only minor thing was the couch was falling apart. We were too afraid to sit on it in fear we'd get blamed for it breaking. Sent a note to the company and they responded immediately. Overall, great place, location and experience! We'll definitely be back. This location is quiet and peaceful; few people were around us. The decor is comfortable and has a good cabin feel. Regrettably, this was the first vacation we neglected to use the hot tub while communing with nature. We've stayed at about a dozen comfy cabin locations and the Chipmunk Lodge is easily in our top three favorites. The amenities description omits a dishwasher, washer, and dryer, all of which are in the cabin. Manager response on 2016-09-15 - Response from NW Comfy Cabins Inc.
We had the best time! The cabin is so cute, clean and has everything!!! I can't wait to stay here again!! Also, during our stay we got an email making sure everything was ok. It was very sweet that they wanted to make sure we were happy! Manager response on 2016-10-20 - Response from NW Comfy Cabins Inc. Overall we greatly enjoyed our stay. We weren't too far away from town, but were far enough away to not have any noise, it was also kind of an added bonus to be able to pull off at all of the lookouts and trails on the way into town. The cabin was clean and cozy, the hot tub was great. A couple things that could have made things easier would have been 1) labels on all the light switches, never did figure out what they all did and couldn't get the outside lights to function right 2) blinds on the north-west facing window in the loft to block some of the light coming in in the mornings 3) it got pretty chilly at night, all the main living/loft area heaters are on the same thermostat but only one heater (by the kitchen table) actually came on to heat all but the downstairs bedroom/bathroom. Manager response on 2016-09-30 - Response from NW Comfy Cabins Inc.